President Moon is determined to take back control of South Korea’s operational command from the US. South Korean President Moon Jae-in is pushing to reclaim wartime operational control (OPCON) from the US. Following on from his pledge during the May 2017 presidential campaign, Moon Jae-in reaffirmed in October his commitment to an early transfer of South Korea’s wartime operational control (OPCON). Initially slated “to take place by mid-2020”, Moon has indicated he intends to see the transfer concluded before the end of his five-year term in 2022. Unlike in previous years, this perennial debate in South Korean politics has taken on an air of inevitability, aided by growing concern over the North’s increasing nuclear capabilities. 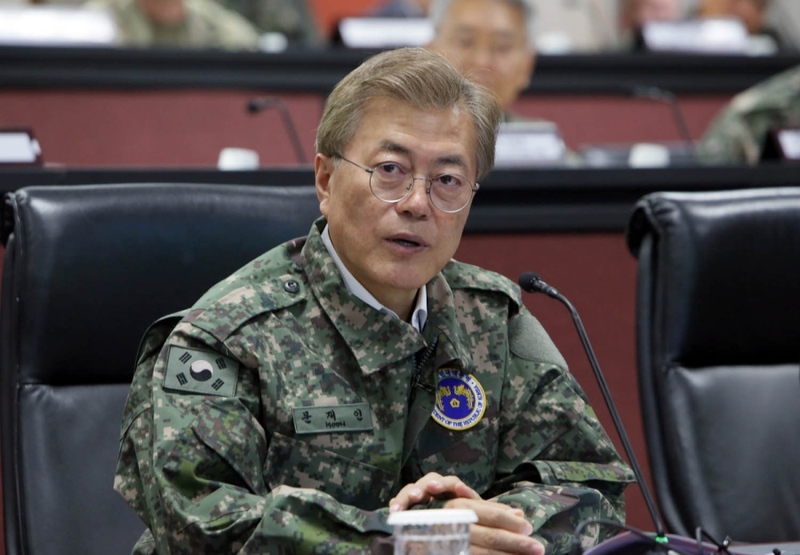 Expressing his staunch position, Moon said in a statement, “When the South has OPCON, the North will fear us more, and our armed forces will be trusted more. With elevated self-esteem, our military will become stronger, and the Republic of Korea will emerge as a security hub in Northeast Asia”. 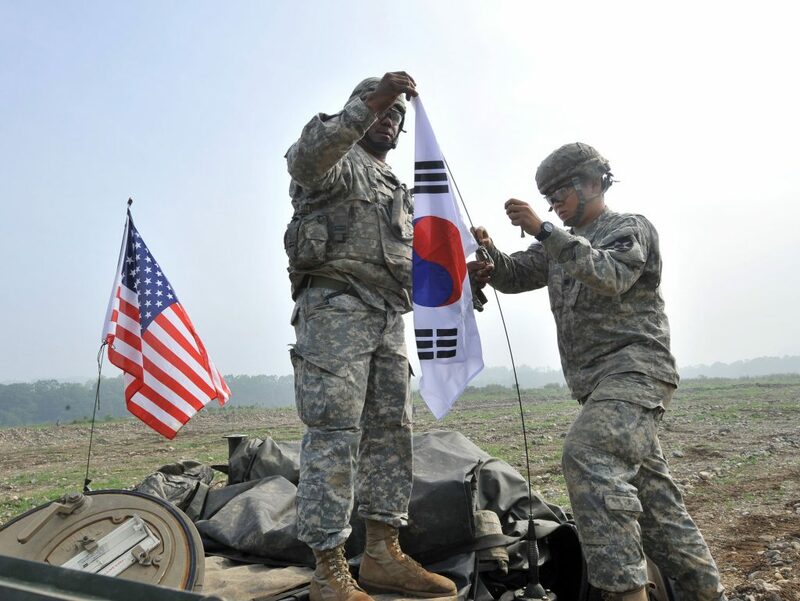 Proponents of the move have long argued South Korea needs to reduce its reliance on the US, and also strengthen South Korea’s independent capabilities for the sake of national pride. Moon’s sentiments suggest he is set on fulfilling this vision and there is every indication that his government will be the one to oversee its institution. Yet concerns remain as detractors underscore uncertainty over Seoul’s readiness to confront a nuclear-armed Pyongyang, reaffirming that coordination with the US has been and remains the most effective way to ensure national security. The present state of South Korea’s wartime OPCON is a vestige of the nation’s ongoing conflict with the totalitarian North. In 1950, a month after the government of Kim Il-Sung invaded, then-President Rhee Syng-man assigned command of the country’s military to the US under Commander Douglas MacArthur. The heightened state of tensions after the 1953 armistice (which South Korea never signed) prevented any OPCON transfer until 1994. At that time peacetime OPCON was transferred without condition, however without a formal ceasefire such actions were purely symbolic. The issue of wartime OPCON has been a regular feature of South Korea’s public discourse ever since. President Roh Moo-Hyun first sounded his country’s interest in regaining OPCON in 2005 with his US contemporary, George W. Bush. By February 23, 2007 an agreement between the two was reached to enact the transfer by April 17, 2012. By June 2010 however President Lee Myung-bak and President Barack Obama chose to delay until December 2015. Throughout these deliberations the asymmetrical threat posed by the DPRK has driven the reality of insecurity in South Korean military relations. Rather than perpetuate the cycle of setbacks, in October 2014 President Park Geun-hye agreed to make the transfer conditional on the proven capabilities of the South Korean military. To that end, in December 2016, Korea’s National Assembly passed a budget with an unprecedented $34 billion for defence. Importantly, approximately $10.98 billion is set to be put towards critical military capabilities including a pre-emptive strike system known as “Kill-Chain”, the low-tier, multiple interception anti-missile system “Korean Air and Missile Defence”, and the Korea Massive Punishment and Retaliation Plan (KMPR). As if these measures weren’t insurance enough, successful negotiations to alter the terms of a US-South Korea bilateral agreement have allowed increases to the range and payload capacities of South Korea’s missiles, presumably to provide the legal prerogatives for the aforementioned programs. With these capabilities in tow, President Moon has entered government poised to undertake a new phase of national security and foreign policy administration. Nevertheless, the implications of wartime OPCON transfer inspire a number of questions as to South Korea’s regional relations and of the prospects for an increasingly precarious Korean Peninsula. 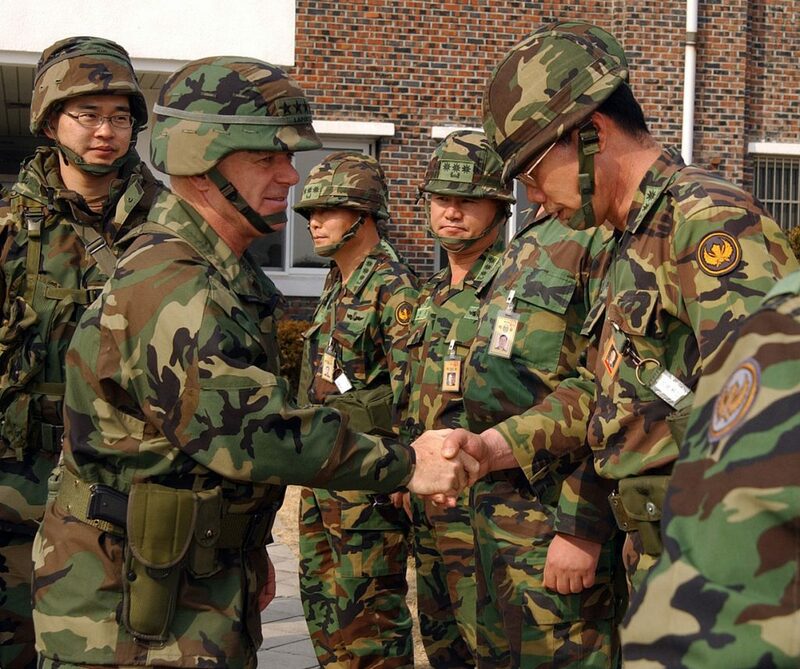 The exercise of greater autonomy by South Korea’s military provides a far more palatable context from which to justify the withdrawal of US troops. 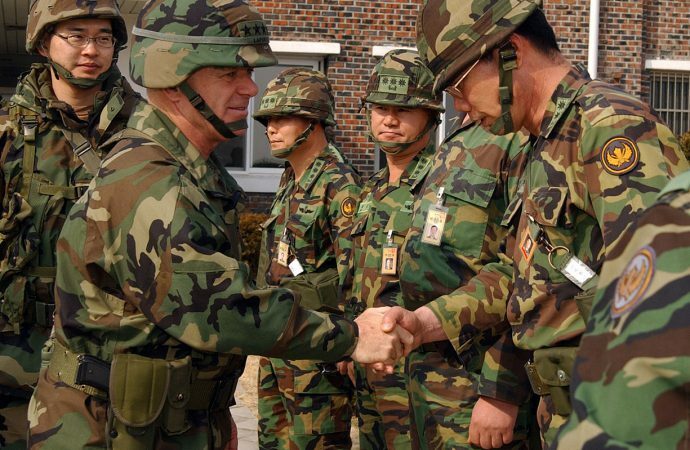 While such a possibility harkens to South Korea’s historic fears of abandonment, as Clint Work of the Jackson School of International Studies has stated, “OPCON transition does not signify the abrogation of the U.S.-ROK Mutual Defence Treaty, which requires U.S. involvement in the case of external armed attack”. However, with President Donald Trump at the helm, such a recalibration of US-South Korea relations may not be an altogether unlikely prospect and could introduce a tenuous chapter in US-South Korean relations. Domestically, wartime OPCON transfer has raised the ire of political and military hawks, with some viewing the modernisation program as having not gone far enough. Chairman of the opposition Liberty Korea Party Hong Joon-pyo, for instance, has voiced his desire to move toward a new build up of nuclear weapons in South Korea in response to Kim Jong-un’s recent tests. Surprisingly, polls by YTN, a cable news channel, show 68% of South Korean citizens support the redeployment of US nuclear weapons to South Korea. In a similar poll, Gallup Korea found 60% were in favour of South Korea developing its own nuclear capability. Yet the poll also indicated that most South Koreans don’t think that the North will start a war, a sign that many still view the nuclear option in strictly defensive terms. Despite Moon’s opposition, expressions of interest from Trump and South Korean Defence Minister Song Young-moo for indigenous nuclear development programs, in concert with public pressure, could pave the way for future investment in the area, particularly if the North’s provocations grow increasingly intolerable. Not to be forgotten, the debate is particularly salient for South Korea’s Chinese partners, particularly as Moon and President Xi meet on the sidelines of the Asia-Pacific Economic Cooperation forum in Vietnam between November 10 and 11. While the two have agreed to disagree over the controversial THAAD deployment, South Korean Foreign Minister Kang Kyung-wha has stated that “South Korea is not considering any additional deployment of a U.S. missile defence system called THAAD [and also] …won’t participate in the U.S.-led missile defence (MD) networks”, a possible indication of the tension effacing direction future modernisation programs might head. In this sense, OPCON transfer represents an opportunity to create the conditions for a much broader and inclusive formulation of regional security. Wherein Moon positions himself to see eye-to-eye with both his Chinese and US counterparts, South Korea could soon find itself in a position to mediate US-China relations. With Moon now set to adapt his nation’s independence to regional security, whether his administration chooses to engage China bilaterally or within the present US framework will be indicative of this prerogative for the future of Northeast Asian security.